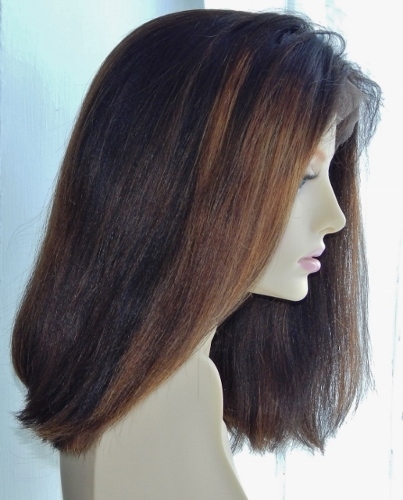 Custom made wigs allow you to customise any type of wig (including lace wigs, monofilament wigs and U-part wigs) to your individual specification. 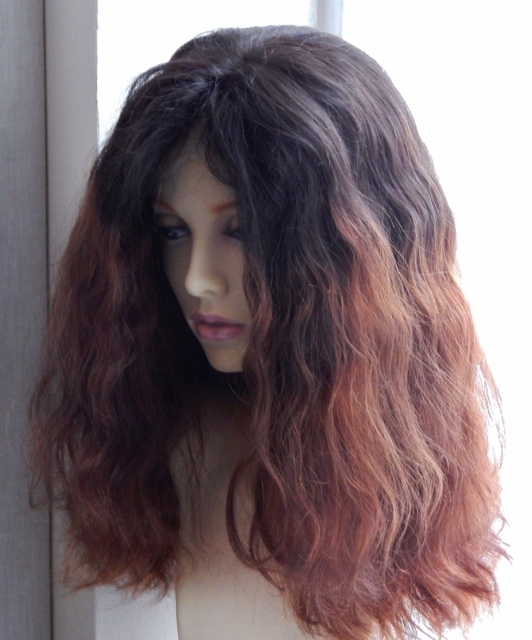 Our experience and knowledge about custom wigs is that there are a few factors that prospective custom wig wearers ought to know before they order. You may already know about the timescales, costs, cap constructions and hair origins, but what about the colours and textures? Has the retailer produced the colour before? Choosing from the standard colour ring is easy-peasy, however if you choose individually created or customised colours, the final product may not meet your expectations. The only way to be absolutely certain of the colour you will receive is to ask for a sample first but be aware that you may need to pay for the sample. When your customised wig arrives, you can match it to the sample to make sure it's what you ordered. 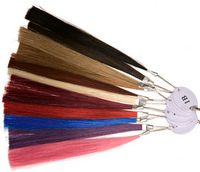 If you're trying to colour match hair, try finding out from your retailer whether you can send them a sample and if so, get written confirmation that they can match it. Keep part of the sample yourself so that when your customised lace wig arrives you can match your sample to the hair colour). If neither of the above are options, then your best bet is for individual close up images to be sent to you if they're not already available on the website. If they are on the website - save the page so that you can refer to it in the future. Top Tip - manufacturers of wigs are not necessarily qualified colourists and so sometimes it may be better to order a natural (not chemically dyed) colour close to your desired hair colour and go to your local hair salon and have it dyed there, or if you're feeling brave, dye it at home. Has the retailer produced the texture before? When it comes to a lace wig texture, there are several basic textures and a few variations for each (such as different size curl patterns). Anything outside of these textures can be difficult to achieve, especially if you want large curls (larger than 2cm). So if you're determined to choose a unique texture, then request a sample of that texture first or; make sure it's a tried and tested texture that will remain even after the full lace wig has been washed. It's not always possible to obtain samples of textures, but you can always ask - and if it's possible then invariably, you'll have to pay for this. If you want the texture to match the hair of your favourite leading lady or leading man on a red carpet, then remember that those styles are frequently styled with heat styling tools and masses of hair products. Have an honest conversation about whether the latest beach wave or 5cm spiral curls are realistic or whether you should choose something else. Can you see an image of the final product before it's sent to you? Your retailer should be able to show you images of the custom wig before you receive it (when it's still with them if they make it or still with the manufacturer). This is important if you've ordered something they haven't produced before or that contains uncommon colours as it will give you a chance to point out any differences with the order you placed or request any final adjustments.